This has been one of those weekends where everytime I turn around to put something down I see something that gives me an idea and makes me want to start something new — creativity overdrive. There are now approximately 27 1/2 projects scattered throughout the house, ranging from a 3" tall altar to a new fall jacket for my daughter, and lots in between. Also lots of dust bunnies and piled up laundry. I’m trying to ignore everything that falls into that category. 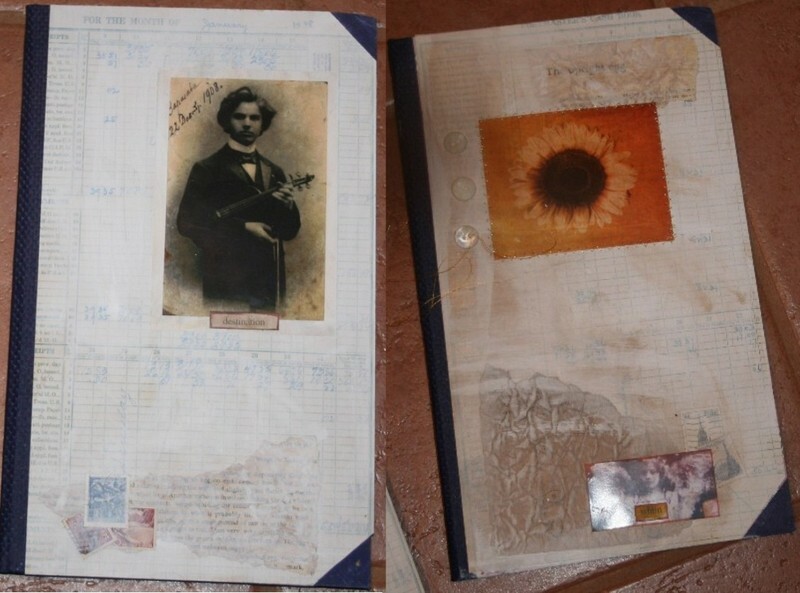 Some fabulous notebooks I picked up a couple of months ago suddenly inspired me and I’m working on turning them into altered journals. Here they are in progress — I’m still working on the design and working in some pieces of old lace but they are fun, even incomplete. Cool yarn happened this weekend too. My friend Amy was talking about making some body stuff with a day of the dead theme and it got me thinking about knitting and I ended up doing some graybrown/black yarns, thinking about fall, cooler weather, and scarves for the men in my life (or at least pretending to make scarves for them so I could wear them myself). 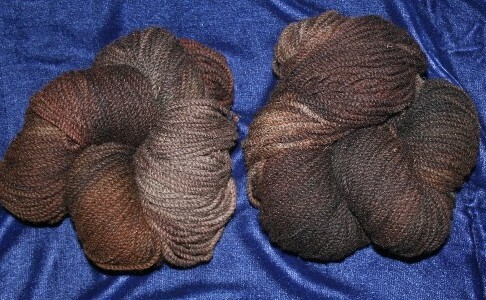 This is some of the Suffolk I got last month, dyed up in a Day of the Dead inspired colorway. 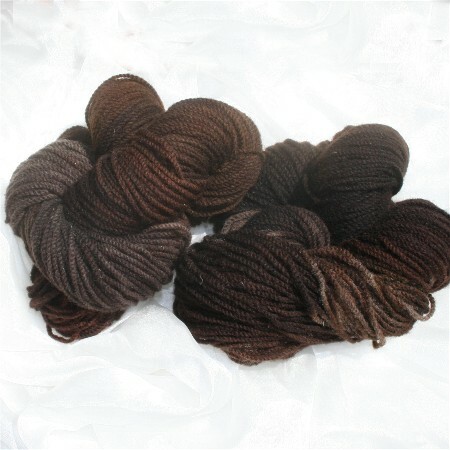 Although the pictures don’t show it too well, the black runs completely through the yarn in a most delightful way. I wasn’t the only one whose muse ran wild this weekend. 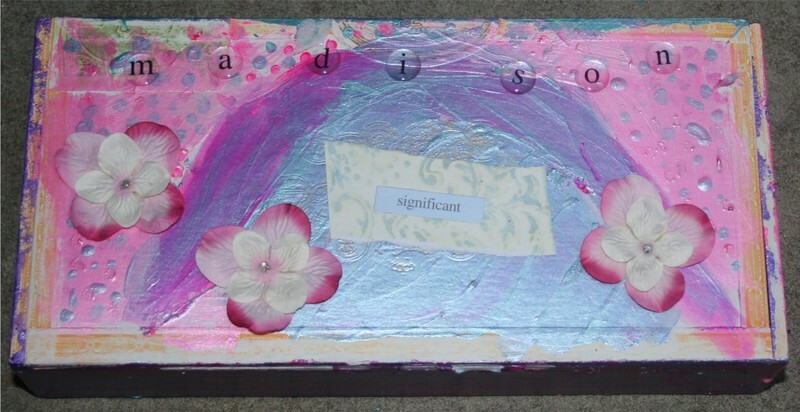 My seven year old altered a cigar box for her new penpal. When I grow up, I want to be half the artist she is.